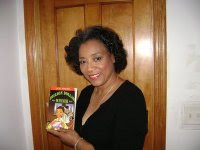 Arlene Jones - Featured Columnist Austin Weekly News: My mantra to Chicago has been to Pay Attention. Is it working? My mantra to Chicago has been to Pay Attention. Is it working? I am so glad to hear of the destruction of parking meters where people are pissed off in an economy where every dime matters to let the mayor, his band of fifty theives and others know that Chicagoans aren't going to sit back and allow meters to be outdoor bandits. Next will be those red light cameras. A paint ball gun and black or orange paintballs can send an even better message. THEN IN FEBRUARY 2011, VOTE OUT THE VILLAGE IDIOT! They are taking more of your quarters every day. And Chicagoans are in revolt. While some are saying enough by avoiding them, others are taking out their frustrations on the parking meters - literally! CBS 2 Chief Correspondent Jay Levine reports with the anger behind the new meter rate increases. You think eight is enough? How about 12? That's how many quarters buy an hour of parking time in some places now. And its why some people have had enough. Near Broadway and Addison, meter after meter are broken. "I called the company and I said I don't want a ticket," one woman said. LAZ is a Chicago company which collects the money for the New York owner which paid the city $1.2 billion to lease the city's 36,000 meters for 75 years. They've pasted new stickers on them, doubled the rates to as much as a quarter for five minutes in the Loop. That's $3 an hour to $2 an hour in many other neighborhoods. People are angry. "People come into this neighborhood for entertainment reasons, and you can't anymore because meters are so expensive," said Joe DiSalvo. "It's jammed," a woman said. Enter a guy who calls himself 'Mike The Parking Ticket Geek.' He contacted us via Twitter and showed us his website, theexpiredmeter.com, which he used to give people advice on how to beat parking tickets. The site has become a lightning rod for peoples' complaints about the new rates and operators. Mike says the people who are writing to him have a sense of "anger, frustration, rage in some cases." To the point where some, it appears, are vandalizing the meters. Pictures on Mike's website show meters deliberately smashed, taken apart, spray-painted, or deliberately jammed. "People suggest taking a quarter, putting some super glue on it, and putting it in the coin slot," Mike said. That jams the meter and everyone parks for free. Or not at all. All over the city, we saw stretches of meters empty in places where people had been fighting for spots. Having to put in 12 quarters an hour was either too inconvenient or too expensive. The credit card meters, promised for the entire city within six months, are still rare. And peoples' patience is wearing thin. "Some people write me and say, 'this is the last straw, my condo is for sale, sales tax, red light cameras.' It's just too much for some people,'" Mike said. The meter people have said they hope to get things straightened out by April 10th. Some have suggested a moratorium on tickets until they do. But with the city having given up the proceeds from the meters but still getting the revenue for the tickets, the meter revolt may fall on deaf ears.